Facebook is reportedly planning to launch its own cryptocurrency within Whatsapp, which would allow users to frictionlessly transact with one another through the service without incurring fees. According to Bloomberg, the new cryptocurrency will initially focus on the remittance market in India, where there are hundreds of millions of Whatsapp users and most financial transfers today are made via mobile payments. It's worth noting however that this coin won't be a typical cryptocurrency, it will be a 'stablecoin'. Some kind of move into payments for the social media giant has been predicted ever since it appointed former PayPal president David Marcus to run its Messenger app in 2014. In May 2018, Marcus was then appointed to head up Facebook's blockchain initiatives. He also sat on the board of crypto exchange Coinbase up until August 2018. Another report from the New York Times suggests that this coin launch is expected to take place in the first half of 2019. Reportedly, the company has also spoken to exchanges about supporting the launch of the coin. But Facebook is not alone in this space. Telegram, the secure messaging service favoured by crypto enthusiasts, Isis, and drug dealers alike, is also planning the launch of a within-app cryptocurrency soon, and so is its rival Signal. Initially focusing in India makes perfect sense for Whatsapp because there are less established payment structures in place than markets such as the US or the UK. In fact, although cash is still king in India, uptake of mobile technologies is spreading rapidly meaning that Whatsapp-enabled payments could enjoy fast and extensive market penetration. At of last year, the country boasted a $400bn (£290bn) mobile wallet market, dominated by Paytm, India's biggest mobile payment company (part owned by Alibaba and Japan's Softbank) which has over 300 million registered users. By launching in India first, Facebook is following in the footsteps of Google, who launched Tez (now named Google Pay), the company's first mobile payment service in India in 2017 before expanding into other countries. Right now, there are reportedly 40 million monthly active users of Google Pay in India. What does Facebook's move signal? That the company aims to start competing with mobile payment services in India? Is this simply a trial ahead of a global launch? It's hard to say exactly what Facebook is planning, but this fits neatly into the company's aim to infiltrate every aspect of our daily lives and become increasingly indispensable. Stablecoins are crypto coins with values pegged to that of an already existing currency or security. As the name would suggest, this ensures that the values of these coins are not subject to the wild fluctuations that affect currencies like bitcoin and ether. Instead, the value of these coins only fluctuates at the same rate as the currency they are tied to, which is in most cases the US dollar. However, according to the New York Times, the Whatsapp coin would be pegged to a range of different foreign currencies. Due to these features, stablecoins have proved popular recently, with a large number of new coins being launched in the past year. However, there have also been some high-profile flops, such as Tether and Basis, and the most used coins continue to be the older, more traditional forms of cryptocurrencies. However, the financial clout and impressive technological know-how of Facebook may signal a new lease of life for the stablecoin market. The impact that this coin were to have if successful could be vast, given Facebook's huge potential reach into a receptive market of 2.4 billion monthly users. 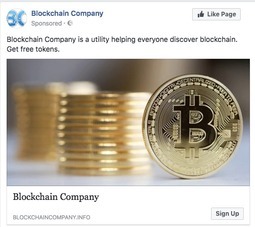 But would these coins, linked to vast conglomerates such as Facebook, be truly decentralised as other cryptocurrencies are? It's likely that these coins would incorporate the best bits of crypto but probably be set up in a way as to be less decentralised than other coins. This could involve privileging the Facebook management teams in decisions about the coin. Therefore, this would represent a departure from a truly decentralised world of cryptocurrency. It's also unlikely these coins would be based on the same intensive 'proof-of-work' model that Bitcoin mining is based on, and instead may be closer to the premissioned blockchain networks popular in the enterprise. Will Facebook make money from this? This to some extent depends how they orchestrate the model of the currency and its infrastructure. For coins that have been launched before, ICOs have been held where interested investors or people who would like to transact buy into a set amount of coins in exchange for whatever the value of the coin was at that time (something which has typically been set by demand). The stable coin approach means that demand is less of a decisive factor, because value should remain steady regardless. However, if Facebook is creating a currency out of nowhere, then offering it to people in exchange for fiat currencies, the company will undoubtedly be making profit from the initial stages of the endeavour at least. Francisco Gimeno - BC Analyst This is going to be a very interesting experiment on stable coins and remittance use cases. We are eager to see how other more established platforms like Google Pay and in Africa Mpesa et alia react to this. However, this is just a speck of what will happen when the 4th IR disrupt traditional banking. Governments and Central Banks are just realising this. In an interview with CoinNewsLive, Patrick Springer, Former MD at Morgan Stanley discussed the future of asset tokenization on the blockchain and how will it change the financial markets. Late last month we spoke to Patrick L. Springer, Advisor, Polybird Global Exchange on the future of cryptocurrencies and adoption of blockchain technology by big enterprises. In a follow-up conversation with CoinNewsLive, Springer discusses asset tokenization which has been identified as one of the next steps for large scale blockchain adoption. CoinNewsLive (CNL): Asset tokenization: What is it and how will it change the financial markets – will it expand and open up the capital markets? Springer: Asset tokenization is the process by which a financial asset is digitized and made available for exchange through blockchain technology. The key words in the last sentence are digitized and Blockchain,and these two terms are enabling a trend that will be paradigm-shifting. Prior to the blockchain, there has been a finite way in which to exchange assets. At the top end, an asset owner could list an instrument on a physical exchange, this would be limited mostly to equity and some types of debt securities; an elaborate trading and settlement system, and a somewhat costly one, has been created for this purpose. Or it could be exchanged via a bank, who could form a loan or project financing syndicate with a party of entities the banks know. Finally, one could sell it to someone who is an acquaintance or through a lawyer, which is how most people buy or sell their #1 financial asset, their homes. In each of these cases, a financial intermediary is needed to secure the transaction – the exchange, the bank, or the lawyer, respectively. Each of these methods has toll costs that need to be paid, and friction that may or may not lead to getting the best market-clearing price, for both the buyer and seller. Digitizing an asset and securing it cryptographically via a blockchain can open new ways for assets to be exchanged and for investors to more specifically target their investments. With digitization, investments can be fractionalized into smaller denominations, making an investment available to larger numbers of investors, thereby making it potentially more liquid. An example of this is a real estate project – from a large multi-billion-dollar mixed-use project to a new fifteen-unit condo project being constructed – it becomes possible via tokenization for more types of investors to participate in more types of real estate transactions. Asset tokenization enables better micro-targeting of investments – for example, equity ownership vs. a coupon of cash flows, ability to buy an investment unit in Brooklyn and/or a unit in Miami, or a retail mall project in Arizona vs. a single-family unit in Colorado). Asset tokenization has significant economies of scale that also reduce costs. Smart contracts on the blockchain will take on many of the legal and administrative functions of a transaction and will automate processes that until now require many steps, many hands, and a lot more time. Automated rules via smart contracts will ensure that only appropriate investors – investors who meet regulatory requirements and financial suitability requirements – participate in an offering. All of this can reduce the toll costs I referenced above, and it reduces frictions. For financial markets, historically this cost reduction has caused massive growth in financial markets driven by increased participation and higher turnover. To be clear, however, asset tokenization is just getting started, and it will move and proceed in a stair-step pattern. Right now, the technology is being built to tokenize assets. But asset owners need help getting through the tokenization process, and there needs to be a marketplace where investors, especially institutional investors, can see, compare, and value different types of tokens. In other words, a parallel system of digital capital markets advisors and a digital marketplace or marketplaces needs to be formed. I am an advisor for Polybird Exchange, and this is where our business model resides. Remember that blockchain by design is decentralized by its nature, so the eco-system that will be created for digital assets may look quite different than the one we know for current asset markets today. CNL: Why Is it worth tokenizing company/rare assets? Springer: In a world that is very concerned about inequality and asymmetrical access to financial opportunities, continued financial innovation is extremely important. There is no doubt that access to the global financial markets through stocks, bonds, ETFs, investment funds, and 401-Ks has made achieving risk and inflation-adjusted investment returns more possible for more people than ever before. And for all those that think innovation has not gone far enough to democratize financial markets and improve investment access, then they should be very interested in tokenization and blockchain. Today’s institutional investors continuing to gravitate towards the markets for private securities, such as private equity and private credit, because they are having continued trouble making money in public markets dominated by ETFs and computer-based trading. The markets for private securities are opaque, hard to access, and have limited price transparency and liquidity. Over time, more of these private securities will be digitized and made available on the Blockchain. More types of investors will be able to access these investments over time. This is very democratizing. CNL: Why put stocks and bonds on the Blockchain? Springer: There are two ways to look at this. One is that the current equity and debt markets are very efficient and will not need to change. It is infinitely easier for you to buy and sell a share of Apple than it is to buy or sell a car, a home, or a family antique. The needs case for digitizing the largest, currently traded equity securities is not here. 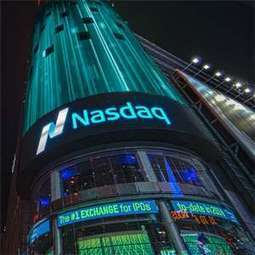 But there are many small companies that go public in off-exchange offerings, and there are many companies that avoid the costs of being a public company. These may find asset tokenization a financial opportunity. Separately, there are many parts of the publicly traded bond market where price transparency and liquidity are controlled by a very small number of dealers. Have you ever tried to buy a municipal bond? Investors can only buy them in denominations of $5,000. Given the public finances of so many of our states, I can see the case that those securities should be fractionalized! CNL: What else can be tokenized? Springer: There are a lot of use cases for different types of assets, and there are use cases that have not even been thought of yet.Take the case of the biotech company, Agenus. This is a NASDAQ-listed biotech company with a market cap of about $450 million. Recall what I said about the efficiency of the capital markets for currently listed equities. Well in January 2019, Agenus raised capital via a security token offering that offers investors a way to invest in a specific biotechnology product of theirs in return for a portion of potential future US sales of that product. This has been offered to qualified investors via Atomic Capital, and so my understanding is that this has been done in conjunction with current US securities laws. Want to get the latest crypto updates, analysis and breaking news? Follow us on Twitter (@CoinnewsLive). Francisco Gimeno - BC Analyst Very interesting. Who would tell us three or four years ago that we would be talking about asset Tokens, Security Token Offerings, crypto economy and market, as not only a game field but the potential future of financial and economic world in very few years time? Read this interview. Hunter Friedland ’19, CEO and founder of the tech startup, elaborated on how blockchain technology and cryptocurrencies function to explain how the app is meant to work.“Blockchain is the technology that powers all cryptocurrencies. Bitcoin, Ethereum, Ripple, et cetera. Each cryptocurrency is its own blockchain. That’s one misconception a lot of people don’t understand,” he said.Friedland, who is a student in the School of Hotel Administration, explained further that cryptocurrencies are virtual assets that use blockchain technology as a distributive ledger. Rewardzzz is built to be fairly straightforward to use — keeping the user away from the backend involvement with the blockchain, according to Friedland.Once users have the app, they can start getting rewards by going to any linked business. The user can get rewards at one business and use them at another — locally as well as internationally. In Ithaca, Collegetown Bagels, Ithaca Bakery and Agava have already agreed to be a part of the Rewardzzz platform, with more businesses expected to join in the following weeks and months. “How it works is when you go to a business, you have your linked cards. You swipe one of those card. The point of sale knows that card and automatically sends you the points,” Friedland said.According to Friedland, using blockchain for the app increases efficiency and reduces costs drastically. “It cheaper for us to use the blockchain as opposed to, say, Amazon web service to power this,” he said.The transparency associated with blockchain also makes it a better prospect for the businesses which Rewardzzz is working with. We are working with a bunch of independent businesses that don’t want to share their data and want to remain anonymous with each other; using a blockchain allows us to do that,” Friedland explained. Over the summer and into the fall semester, Friedland is expecting the app to grow and to bring on more businesses as the app gathers attention, with the goal of having 20-25 businesses on the platform by the end of the summer. Francisco Gimeno - BC Analyst One new Dapp blockchain based to reward use of services in Ithaca, USA, with less costs than normal apps. These particular uses of Dapps are increasing and building the big picture of the Blockchain and tokenisation system, step by step. Tokenisation, transparency, democratisation is the key. Security Token Academy was at the NYC Crypto Mondays Meetup hosted by Lou Kerner and James Haft of CryptoOracle. The evening featured discussions on the rise of Security Tokens and the driving force behind the endurance of Blockchain. Francisco Gimeno - BC Analyst Security Tokens, utility tokens... New Yorkers bet for security tokens as more tangible and useful in this stage of Blockchain development, and this is seen as a good thing in the middle term, to protect investors and allow the ecosystem to thrive. Well watch this and let us know what is your opinion. Join us. Building a token sale is at once quite simple — you build a token and sell it — and quite complex. A number of issues crop up immediately, including, but not limited to, the need for an expensive team of lawyers, marketers, social media experts and, until now, an expensive crew to build your smart contract. CoinLaunch, a project by repeat entrepreneur Reuven Cohen, aims to reduce the complexity of at least one part of the process. His service, CoinCreator, allows non-programmers to build simple smart contracts in a few minutes. “Today if you want to create an ICO the only real option is to hire a team of blockchain developers, lawyers and accountants, and marketing gurus or build all the smart contract components yourself. This process is time-consuming, complicated and expensive and also assumes you can even find the right people to help you, which is in itself difficult. ”The creator asks for a few basic bits if data, including the name of your coin and the total issued. Then you create a simple contract that controls the flow and usage of these tokens. Cohen claims the product is compliant with current regulations as long as you connect the token to some sort of utility and avoid selling equity. 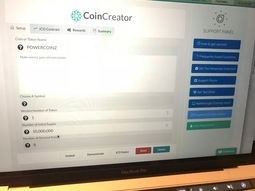 The project is self-funded and Cohen and his partner Randy Clemens are planning their own token sale in 2018.“CoinLaunch provides a free and easy to use Coin Creator that enables anyone with little to no experience in cryptocurrencies the ability to create their own Ethereum-based ICO (ERC20 tokens),” said Cohen. “The platform includes an integrated compliance system that allows for any vetted ICOs to comply with various local regulations, including KYC and AML. We are also working on integrating SEC-based crowdfunding compliance, specifically Job Act Title III and Regulation A.”Ultimately tools that reduce the complexity of token sales will take over from the jerry-built systems currently in place. Token-sales-in-a-box services exist, but they are aimed at raising massive consulting fees and basic, programmatic and regulated services just don’t exist yet. This is an interesting first step, and, according to Cohen, it’s quite popular. The project launched yesterday and so far users have generated the equivalent of about $1 billion using the service. 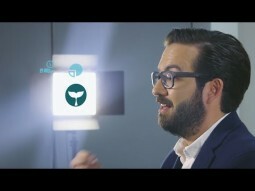 Francisco Gimeno - BC Analyst New opportunities, new services, are born to deal with the challenges of the new blockchain and cryptocurrency economy. The demand for a particular Blockchain product is usually the main determinant of the value and eventual market price of its token. This is why there is a variation in the prices of different altcoins in the Blockchain environment. For example, Bitcoin is more readily accepted by merchants than Litecoin, and is consequently more valuable. Ethereum, despite coming after many older altcoins, remains the third most valuable cryptocurrency in existence behind only Bitcoin and the its recent fork, Bitcoin Cash.Ethereum’s value is largely determined by the demand for its platform by distributed application (dApp) developers. Many of these developers issue tokens to grant access to their services, essentially building their own Blockchains atop Ethereum’s platform. In many cases, developers pre-sale their tokens as part of an initial coin offering (ICO), and they usually accept Ethereum’s token “ether” as payment. The token for Zcash is called ZEC. 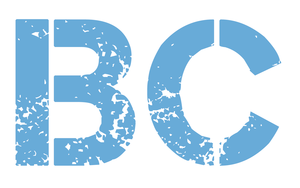 ZCash is a cryptocurrency that grew out of the Zerocoin project which aims to improve anonymity for Bitcoin users. 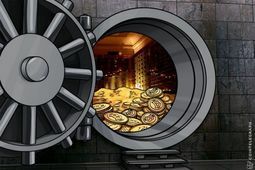 The company, which is putting electronic medical records (EMRs) on an Ethereum-based blockchain for better security, has obtained funding and partnerships to help promote its concept. By the time it launches its enterprise solution, the company wants to give medical practitioners healthcare at their fingertips - and easy account settlement for patients and healthcare payers alike. Patientory released its payment token, "PTOY," on May 31. The three-day token sale raised $7.2 million from over 1,700 purchasers. The company is using the funding to launch its smart contract-based platform for EMR storage and patient payment processing. "The healthcare system is fragmented," explained Chrissa McFarlane, CEO of Patientory. As McFarlane pointed out, Patientory "really brings together the industry as a collective toward reducing costs and improving not only the U.S. healthcare infrastructure but the global healthcare ecosystem. "Since its crowdsale, the company has focused on integrating with other networks to help build a decentralized ecosystem for healthcare participants. One of the most significant developments for Patientory came in late August when it announced its partnership with the Linux Foundation's Hyperledger initiative. Hyperledger follows the Linux Foundation's model of building reference platforms for commonly-used technologies. What it did for Linux, it hopes to do for the blockchain. Just as there are multiple Linux distributions, the project will spawn a family of blockchain frameworks using code from a single reference platform, making it easier for the frameworks to interoperate with each other. A key part of a smart contract-based platform is an oracle, an agent that derives information from a third-party information source; which Patientory will build to communicate with Hyperledger's code.But Hyperledger won't be the group's only such partnership. "The future of the blockchain is that there will be multiple chains out there," explained McFarlane. She expects to build oracles for those, too.One of Patientory's key goals is to integrate disparate processes in the healthcare system to produce end-to-end visibility. "If we're going to use the blockchain to really be the foundational layer for that interoperability, then the chains have to interact with each other and provide the same functionality," McFarlane said.The company is paying similar attention to payments integration. Blockchain-based digital cash network Dash has partnered with blockchain web services company BlockCypher to offer a grant program for organizations integrating their services. Patientory announced its participation in that program in August. "Dash is purely digital cash, so we're able to spearhead and accelerate the usage of digital currency for transactions in the health industry," said McFarlane. With this integration initiative, Patientory is focusing on healthcare payers. They can use the network for claims processing, finding patients securely and processing their claims transactions. Patients will also be able to use the system for settling payments. Using the blockchain for payments between providers will drive efficiencies into a traditionally complex and bureaucratic system.Patientory "decreases their transaction fees and overhead from an administrative level," said McFarlane. Patientory has been busy building relationships in other ways, too. McFarlane now chairs a blockchain working group; and July saw the company win an "innovation mention" in the #Patient2Consumer challenge organized by start-up network 1776 and the MedStar Institute for Innovation. Patientory is also active on the conference circuit and is involved in the Distributed: Health conference currently taking place in Nashville.On the technical side, Patientory established its genesis block in July and launched its Alpha testnet. Perhaps the biggest task facing the company now, though, is educating the market: It hopes to do so through the Patientory Foundation, the organization that orchestrated the crowdsale. "A part of that at the Foundation level is to host events," McFarlane said. "We promote the concept and providing an avenue for people to ask questions and learn about the process and how everything works in this space. "The company is hoping to launch its enterprise solution and beta the 1.0 version of it by the end of this year. Its focus now is on proving its concept, scaling the platform and fostering adoption. The first half of 2017 may have been busy, but for Patientory, much is still to come.